Miramar at Lakewood Ranch is a shining example of how careful residential development and planning can improve quality of life. Miramar combines the worry-free lifestyle of a resort community with the privacy of a neighborhood lined with cozy townhomes. The home builder in charge of Miramar is Neal Communities, a company that has garnered three decades of experience developing neighborhoods in Florida. Neal Communities offers two different townhome designs at Miramar: the Marbella and the Granada. These two designs feature Mediterranean-style architecture with Southwest Florida touches such as lanais and scenic windows to enjoy the dramatic views of the nature preserves surrounding the townhomes. The prices in this gated neighborhood range from $175,000 for a two-bedroom and two-bathroom home with 1,626 square feet of living space. 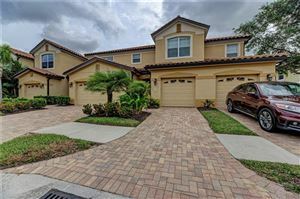 More spacious townhomes with four bedrooms built on 2,392 square feet and featuring two-car garages, start at $379,000. The amenities that can be enjoyed at this community are determined by the membership level. The Legacy Golf course at the Lakewood Ranch Country Club was designed by Arnold Palmer. 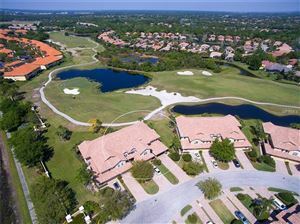 It features 18 championship holes surrounded by the natural beauty of Southwest Florida. Also available to residents who choose a certain membership option are the tennis club with 18 courts and the heated swimming pools, spa and fitness center. Family activities can be enjoyed with any membership level at Adventure Park and Lake Uihlein. Shopping, dining, business, and entertainment are all conveniently available at Main Street, the center of all suburban comforts in Lakewood Ranch, located just a short distance from the Miramar townhomes. Main Street is expanding its offerings to better serve the needs of Lakewood Ranch residents, and its brand new Medical Center with 120 beds is a testament to this commitment. 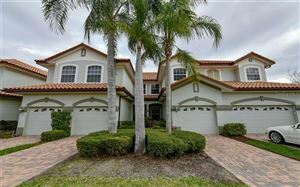 See all Miramar Lakewood Ranch Townhomes or Condos for Sale.